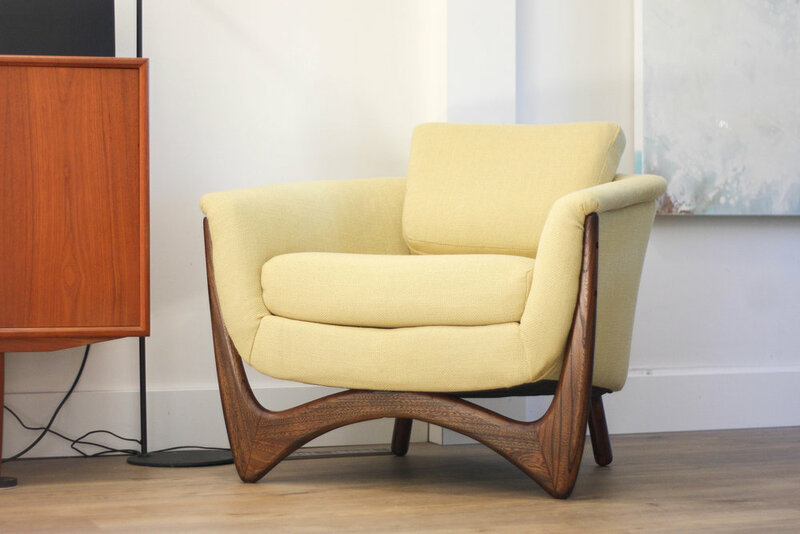 Super sweet mid century modern barrel chair with solid wood sculptural legs. They remind me of a wave. Optional backrest included which provides extra support for lots of lounging. Pale Lemongrass upholstery is clean and shows nicely. Zippered back and seat covers mean they could be dry cleaned in the event of a spill.